I am currently enrolling for classes at Brigham Young University - Idaho. I have an interest in sleep therapy and sleep studies. I was wondering if you could offer me some advice as to what kind of Bachelors degree would best suit this line of work. I was thinking that Biology might prepare me the best for medical school. I was wondering if a degree in psychology would be better? I was also thinking about minoring in Health Science. Would this help my occupational and academic choices later on in the field of sleep studies? Thank you for your time. Sorry about the time to get back to you. The best type of Bachelors degree would be the one to prepare you for medical school. Any major would be fine, but you will need to take a yr of bio, chem, physics, and organic chem during college, preferably in the first 2 years. Some med schools require calculus. A class in basic statistics would be also be helpful. It would be easiest to fit these pre-med requirements into a bio or biochem major, but you can take any major. Don’t worry about planning for a sleep career until near the end of med school. 2007 is well underway and we have not yet received your membership dues. 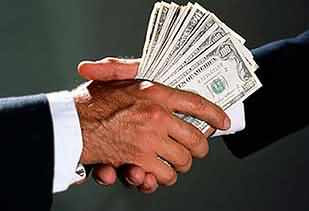 Our records show that you have not paid your local, state, or AMA dues for 2007. I'm sure this is just an oversight, so please use the enclosed envelope to send your check right away. Pease make your check payable to Mississippi State Medical Association. According to the MSMA Bylaws, physicians who have not paid annual dues by April 1 forfeit membership privileges and must be removed from the membership roster. Membership in the Mississippi Physician (its actually, plural -Physicians, but I have tried to reproduce the letter as closely as possible) Care Network (MPCN) is also in jeopardy. MSMA continues working to protect the doctor-patient relationship and to enhance the climate in which physicians practice. I encourage you to continue your membership by remitting your dues right away, beause together we are stronger. The AMA is threatening me with loss of provider status in a key local insurance network, the Mississippi Physicians Care Network (MPCN), if I do not send $840 to the AMA. I will not give in to this corrupt organization. I will probably drop out of the MPCN, though I believe I have the option of sending an amount roughly equivalent to the $840 AMA fee to the MPCN to stay in their network. I would rather that the MPCN get my money than the AMA. I don't give in to extortion. This is one less physician that the tools in the AMA will be representing.